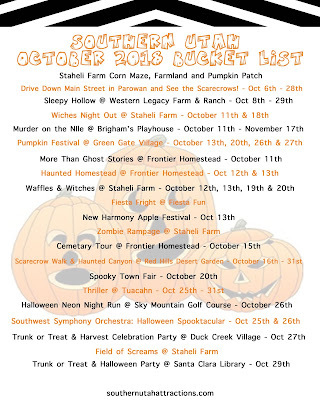 Southern Utah has a lot of Halloween events! There are a wide variety of events and attractions for all ages. There's something for those who love all things Halloween and love to get freaked out and something for scaredy cats like me :) Download this FREE printable and stick it on your fridge so you don't miss a thing this October. 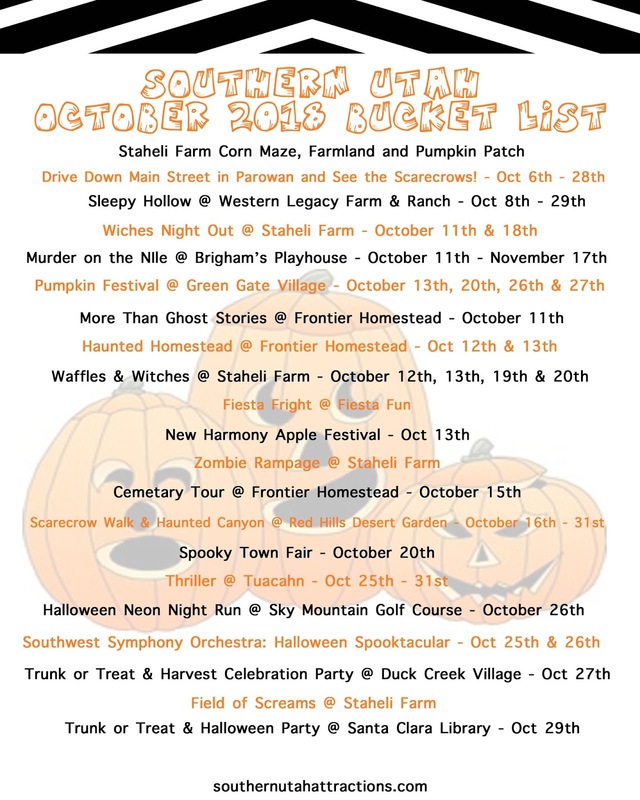 To download this FREE Southern Utah October Bucket List click here! Do you live outside Soutern Utah? Or do you want a generic October Bucket List? 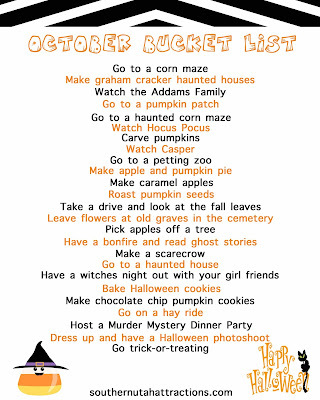 Click here to download a FREE generic October Bucket List. **You will want to click on the link to download it rather than just saving the image below to your computer because the resolution of the PDF in the link is much better than the jpg below.